Nowadays Entrepreneurship had become one of economic growth indicator in some developing or emerging countries such as Indonesia, Brazil, India, Mexico and China. It is undoubted because entrepreneurship gave many advantages like job creation that can reduce unemployment, so that it will bring positive impact for Gross Domestic Product (GDP). In Indonesia the growth of Entrepreneurship is quite promising, it reflected from this year Indonesia’s economic growth that stay at rate of six percent. It was good achievement that place Indonesia as one of the world’s fastest growing economies. Although the rate of Indonesia entrepreneur is lies around one percent, below entrepreneur rate in other country such as Singapore which rate is seven percent and twelve percent in United States. However, it was not comparable rate of entrepreneur because each country has different population, especially for Indonesia who has huge population of more than two hundred millions people. Take a look at the growth of start up in Indonesia and the success story of Indonesia entrepreneur; it was the fact that becomes the evidence of promising entrepreneur growth. There are several good evidence of entrepreneur growth in Indonesia that can leads good signal and opportunity for young entrepreneur to boost their entrepreneur soul to start and growth their business. Indonesia is one of five countries that actively connect startup business with investors. Most of start up in Indonesia is internet based-service. There are more than seven hundred startups online and new ones are born every week. For instance, pricearea.com that provides information about price of goods within Indonesia online market like pricegrabber.com in United States. Indonesian Social Networking service, Koprol that was acquired by Yahoo also considerable successful start up. The next are dealkeren.com and disdus.com which main business is social commerce that provide information of promotion and discount that exist in every store in Indonesia. These are good example of successful start up since both of them acquired by American Social Commerce Company. Dealkeren.com acquired by Living Social on 27 June 2011, this acquisition had increase the number of merchant in big city and attract more member from 300.000 to almost 1.000.000 user. Almost similar to dealkeren.com, disdus.com acquired by groupon.com then it’s domain name become disdus.groupon.co.id or groupon.co.id. Besides that, there are start up media like dailysocial.net and event that support start up, for instance Telkomsel with Start Up Bootcamp program that support technopreneur to pursue their idea. The term of technopreneur was popular for someone who runs their internet based-service, the figure are Adrian Suherman (CEO dealkeren.com), Andrew Darvis (Kaskus Founder), etc. Those companies prospected to become like Big Tech company that born in Silicon Valley, United States. In other industry, Indonesia also had good example of successful entrepreneur. Food and beverages industry in Indonesia was familiar with J.CO Donuts & Coffee, Ayam Bakar Mas Mono, Blend Onesia and Klenger Burger. J.CO Donuts & Coffee found by Johny Andrean who already had popular salon called Johny Andrean. This premium donuts and coffee restaurant became serious threat for multinational company such as Dunkin Donuts, McDonalds, even Starbuck Coffee. The branch of J.Co donuts growth fast among Indonesia area, more than 22 outlets was established. The key success for competing in high level segment is the best premium quality of ingredient that come from around the world such as Dark Chocolate from Belgium; Almond from California; Cheese from New Zealand; Macha Green Tea from Japan; Almond from California and 100% Arabica Coffee which perfectly roasted in Italy. Besides that, price of J.CO Donuts and Coffee is competitive. 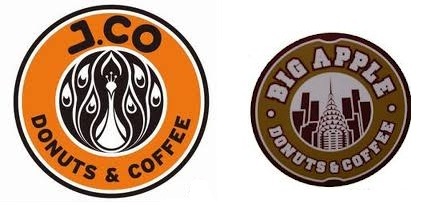 J.CO Donuts and Coffe popularity is spread around the South East Asia, so not surprising that there is Malaysian Donuts and Coffee restaurant called Big Apple, copied the business model, very similar or 100% same. In the future J.CO Donuts and Coffee should become Multinational Company to avoid that case. Move to story about Ayam Bakar Mas Mono also interesting. Basically, the main business is fried chicken but it sells different chicken unlike ordinary fried chicken seller. In Indonesia called this kind of chicken as “Ayam Kampung” which has better taste rather than “Ayam broiler or ras” (most of chicken that use by KFC, McDonald, etc. ), it was rank number one in terms of fibre, delicious, spices and healthy because this kind of chicken is not injected. Moreover, it was good pricing towards fast foods like KFC and McDonald because the price is almost same while it offers more value, benefit and satisfaction for customer. The last but not least is Klenger Burger that found by women entrepreneur, Velly Kristanti. “Klenger” means very satisfied or replete or filled with foods. That’s why; the brand name is “Klenger Burger” because the portion of Burger menu is very big and makes people replete or filled with it. McDonald and Burger King should worry with Klenger Burger as their future competitor. By the way, what Klenger Burger has made is a good point of branding and differentiation. In the fact, many peoples are willing to queue to get Klenger Burger and most of them are satisfied by experience after eat Klenger Burger because it has big portion, good taste and the price is reasonable compared to McDonald and Burger King. Once more come from Blend Onesia, one of successful business that had sign with Mekar Entrepreneur Network for its partnership. The main Blend Onesia’s product is blend drink like ice blend, coffee, shake, dan mocktail but it packaged creatively using Indonesia picture culture icon which is Wayang. The taste is good and it is very famous in Bandung city and the product marketed by reseller and use social network like twitter and facebook to promote it. There are interesting story come from Transportation industry. The business is found by graduated Indonesian student from Harvard Business School in Boston, Massachusetts, his name is Nadiem Makarim. He made transportation service which called Go-Jek. Go-Jek is motorcycle taxi that can accompany people’s travel and ask for deliver goods, for instance ask for shopping and then deliver to home. The differentiation with ordinary motorcycle taxi is the management, quality service and use of technology like online maps and Global Positioning System (GPS). For instance, Go-Jek crews wear uniform and the helm is fresh unlike ordinary motorcycle taxi. For additional information, Go-Jek had won ten thousand dollars in a competition through the American State Department’s Global Entrepreneurship Program. The growth of Indonesia entrepreneur and the successful story was the realities that can be learn. Now, the turn for young entrepreneur who want to start business or had run their business to learn from them. Entrepreneurship benefit was clear, for young entrepreneur generation itself; it could develop soul, spirit and self-independent. Not rely on job opportunity or only seek for work in company. In entrepreneurship, generate idea and develop concept is easy. The challenges are the execution, get belief and mostly financing. The good business plan is needed otherwise entrepreneur plan to failure. Entrepreneur should have execution intelligence in order to make their idea and plan come true. Execution intelligence is the core because anyone can make idea and business plan but to do that need big struggle and have strong commitment. Next is feasibility analysis that screen our idea before decide to do. The opportunity sometimes considerable rather than just idea. Financing is common issue but it could be solved by many ways to fund capital. Belief also not simple because as a young entrepreneur, mostly have low level of belief in investor perspective. The solution is young entrepreneur should give evidence, make clear and good plan and then brave to start the business as soon as possible. Start from zero to hero, from nothing to be something because big things start from small things. Mas Mono the founder of Ayam Bakar Mas Mono start his business from small push-cart and street store, even Bill gates, Michael Dell, Mark Zuckerberg and Steve Jobs start their business from their home garage and dorm. The aim is to get experience and learn whether from success and failure. The other things is passion and willingness that young entrepreneur must have. It very important because lack of willingness can kill business like a case of Protect MyPhoto company that found by Chris Shaw. Their business suffered because he and their team bored to run online storage company. Thus, it is important to keep passion and willingness since when there is a will there is a way. It is better for young entrepreneur to create customer driven company that give beneficial and solve society’s problem. The last but not least, young entrepreneur could ready for success and failure because entrepreneurship is about try something new that have risk and advantages for the successful one. So, are you ready to become the successor of Indonesia entrepreneur?